"We are a guild made from the desire to achieve the impossible. Making those thing that people believe are only dreams, real. Making them countless Trophies that shine upon us like the constellations. We are the Astral Dreamers"
Duration of buff 30 sec. 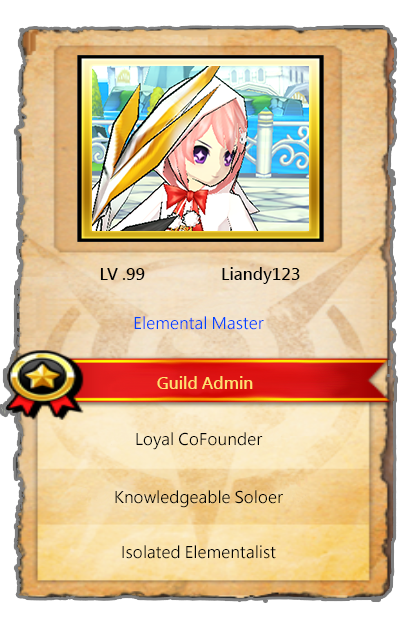 Be active for 3 days straight (more then 1 hour each, this also including participating with the other guild members, like talking or running dung together). If you not active enough, just from logging in everyday for more than 10 min for a whole week you will be promoted to. 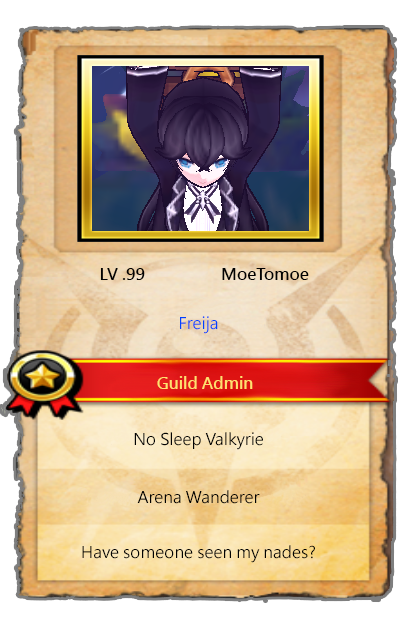 First of all you will need to be a Veteran to be able to advance to Officer.. To achieve this rank you will need to be active for a whole weak (more than 1 hour each day, and also participate in guild, talking, doing dungs together and so on). If not as active log in everyday for more then 10 min for a period of 3 weeks. Can skip one or two days. To be able to become an Admin you will need to be a Officer . This are chosen by vote between all the admins when there enough active members to warrant more admins. 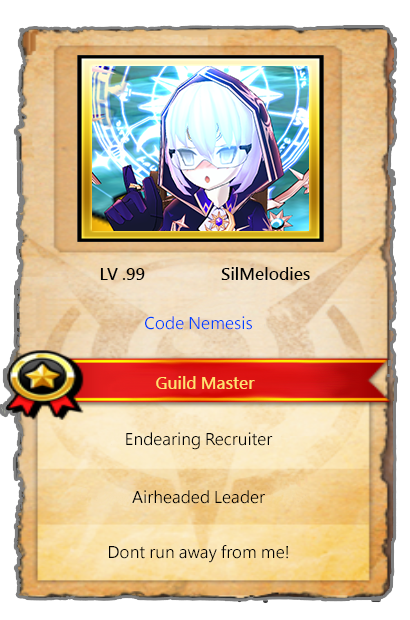 Or search for the in game guild ad and apply through there, please say you come from the forums in the recruitment comment. 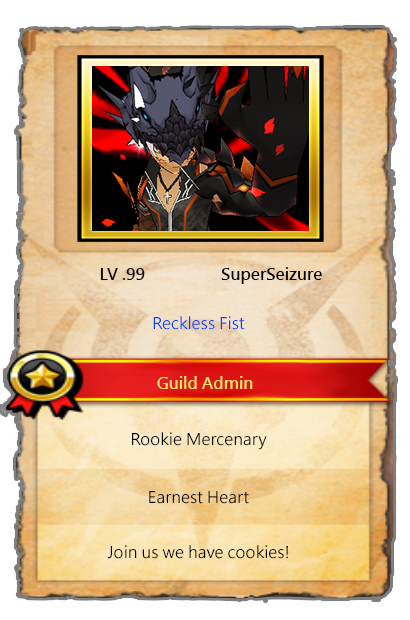 Extend a helping hand to your guildies. 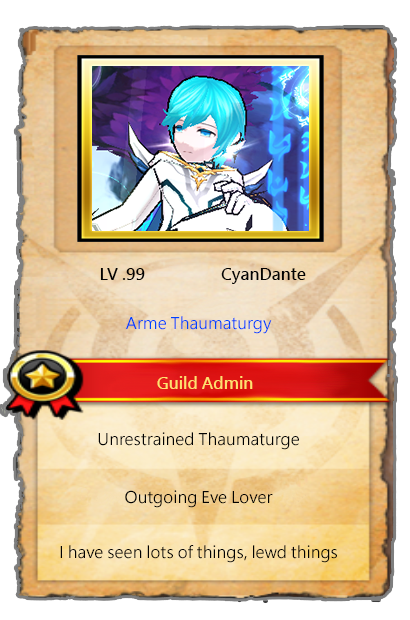 There is no need to sacrifice your whole stam bar for a guildies but one or two runs really help and can bring a smile to that person. 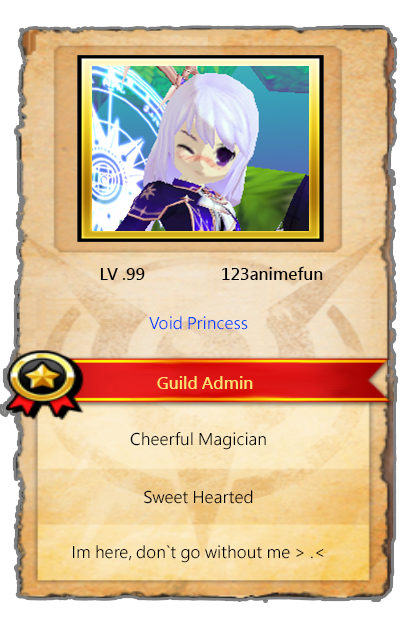 Use the guild chat. We all know how to type so we encourage you to use the guild chat and participate in conversations. Also, its a good way to ask help if you need it. This is not a guild/team/family unless we talk to each other. Silence will only bring us apart an could lead to inactivity or long boring hauls, let us ease your long and painful grinding hours with our cheerful insane,weird,crazy, randumb conversations. For Discord please change your nickname to your ign or to have your ign in parenthesis. Alternatively you can tell me your ign and i will note it down. You will find stuff like SD drops, Dual magic Stones, Accessories, Boss specific drops lv70+ , Elixirs and other useful items. Currently discord is our main mean of communication, so we highly suggested our members to join us there. We currently have self ping-able PVE roles to organize our parties. The discord chat is also up to date with most of the in game content announcements. And will also be the first place update with the guild events.